Premium we know it’s important for your ride to stand out from the rest! Here’s a great mod that is sure to turn some heads. 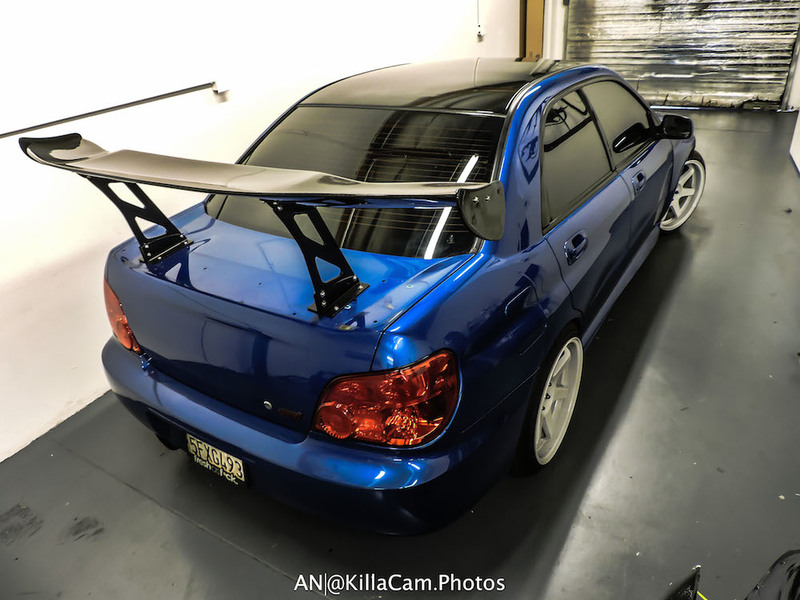 Add unique styling to your 2006 - 2007 WRX STI (sedan) thanks to Premium Auto Styling’s Black Roof Wrap roof wrap kit. This vinyl kit is a great way to completely change up the look of your ride without having to visit the paint shop. With all of our Premium Auto Styling vinyl’s, we use only the highest quality premium cast vinyl, which has been designed to last for years without fading or peeling. This kit takes out all the guess work as it has been sized and pre-cut to make for an easy one piece vinyl install without any seams. Please note: this is not an exact roof template and will require trimming to fit roof cap. This kit is available in glossy black, matte black or carbon fiber vinyl finish. Quick Install Guide: When it comes time for the install, you'll want to make sure of a couple things. First, you need a table or a workspace large enough to lay the vinyl out before you get started. Second, you need a spray bottle filled with a soap and water mixture, the included squeegee, and an extra set of hands just to help you lower the vinyl into place. Now this isn't the hardest install in the world here, since it's a nice large, flat area, however, you'll need to take your time just to get everything perfect. So with that in mind, if you take your time, and follow our detailed installation video on our YouTube Channel, you should be wrapped up in about a half a day. Gloss & Matte Black - is a UV protected film that will give you up to 5 years of exterior use and will not damage vehicle, once removed. This film is designed specifically for automotive wrapping and features re-positionable pressure activated adhesive and air release channels to help guide out air bubbles. These features allow for a fast and easy dry vinyl installation.